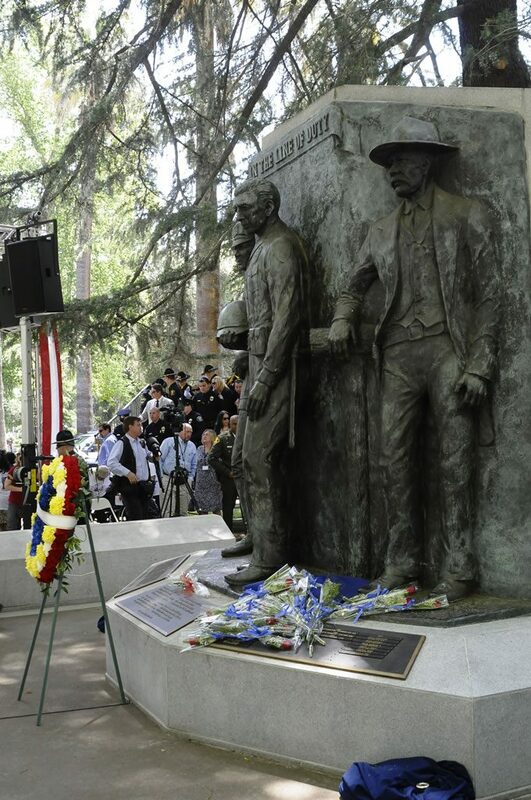 The California Peace Officers’ Memorial Ceremonies are held the first week of May at the California Peace Officers’ Memorial Monument in Sacramento on State Capitol grounds. 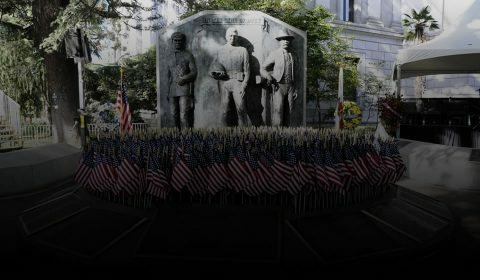 The ceremonies serve to formally enroll peace officers who have died in the line of duty the preceding year, pay tribute to the over 1500 officers who have made the ultimate sacrifice since California became a state, and to honor the families left behind. The ceremonies are a two-day event, beginning with a Candlelight Vigil at the Memorial Monument. At dusk families, friends, community members, and colleagues walk in solidarity to the Memorial Monument to remember and celebrate their fallen heroes. 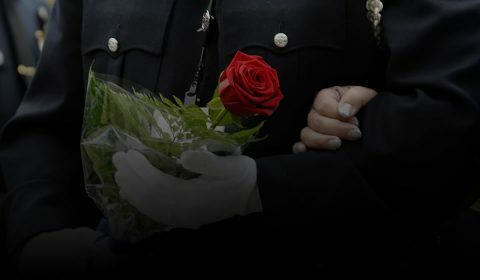 The next morning’s formal ceremonial events include a memorial procession for law enforcement vehicles, a Walk of Honor for department representatives and immediate family members of officers being enrolled, and the Enrollment Ceremony, where the names of newly enrolled officers are formally added to the Memorial Monument. This beautiful and solemn ceremony incorporates many law enforcement traditions including a riderless horse presentation, the folding of the United States Flag, releasing of doves, and concludes with a 21-gun salute and the playing of Taps. Due to very limited seating, the Enrollment Ceremony is a ticketed event for designated family members and guests. Additional seating is provided so all who wish to attend in support of California’s fallen heroes may view the ceremony on an adjacent large-screen television.